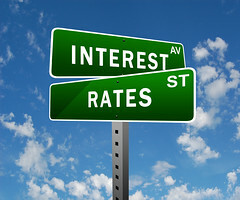 There are lots of banks in Singapore offering savings account of different interest rates. The interest given out by some of the banks have fallen by quite a bit. As a large part of my savings are deposited in savings account, I like shift my savings if there is a better deal on the market. As you can see below, the rates being offered now are much lower than in the past years. I can see that it can only go lower in time to come due to the possible market downturn in near future. Standard Chartered eSaver and Citibank Stepup have reduced their interest rate through the years and I have removed them from my list. I like to do some homework to be current on the bank that offers the highest interest rate for savings account so that I do not lose out on the potential interest which I could have earned. I am happy that my favorite CIMB StarSaver Account still offers the best interest rate! Daily balance below S$500 0.1875% p.a. Daily balance of S$5,000 to below S$50,000 0.30% p.a. Daily balance of S$50,000 and above 0.38% p.a. Less than S$200,000 0.10% p.a. S$200,000 & above 0.20% p.a. Earn 1.88% p.a. on your savings for the first S$25,000 in your Bonus$aver account when you charge a minimum of S$500 to your linked Bonus$aver World MasterCard credit and/or debit card(s) each month.